Matt Damon and Water.org have teamed with omaze.com to take you to the premiere of the new film Downsizing. 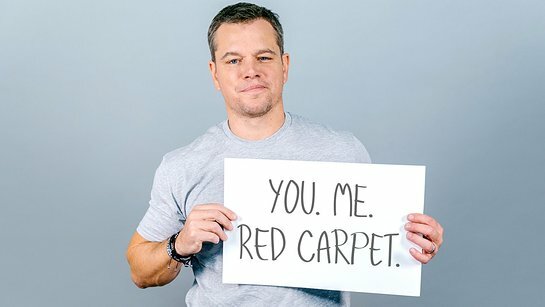 By visiting omaze.com and donating to water.org, you could be meeting Matt Damon on the red carpet and seeing the movie before anybody else. Today 884 million people lack access to water and 2.4 billion lack access to a toilet. Water.org is working to change that. Water.org brings safe water and sanitation to the world through access to small, affordable loans. Access to safe water can protect and save lives, just because it’s there. It has the power to turn time spent into time saved, when it’s close and not hours away. It can turn problems into potential: unlocking education, commerce and improved health. Water.org has transformed millions of lives and is working to reach millions more. Your donation will help empower families with access small, affordable loans that enable them to install household water connections and toilets.